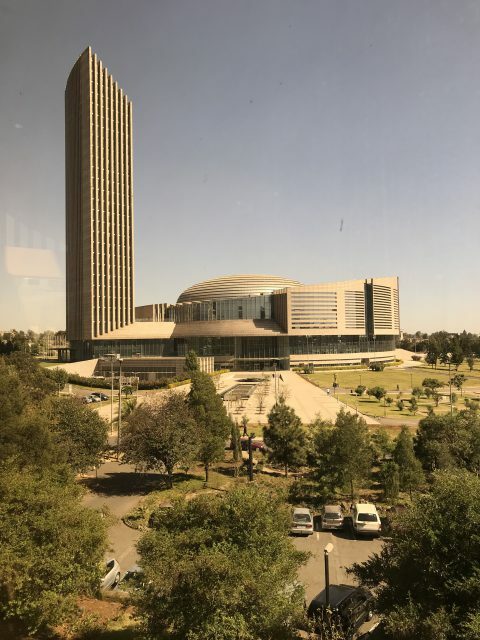 Lumières d’Afriques arrived at the African Union ! 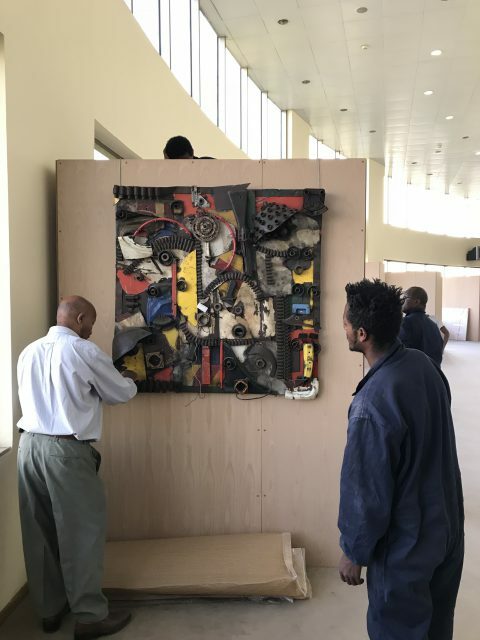 While the works of the exhibition “Lumières d’Afriques” have just arrived in Addis Ababa, the team on site are finalizing the installation within the African Union. Opening scheduled on Monday, December 18th! 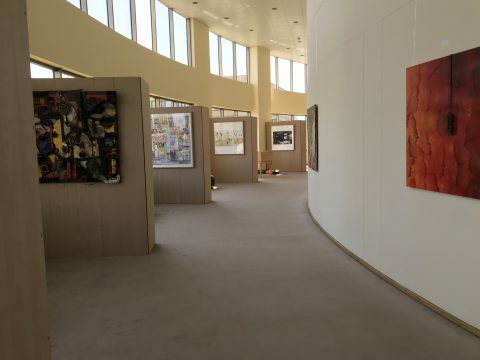 African Artists for Development invites you to discover or rediscover the many works on display. 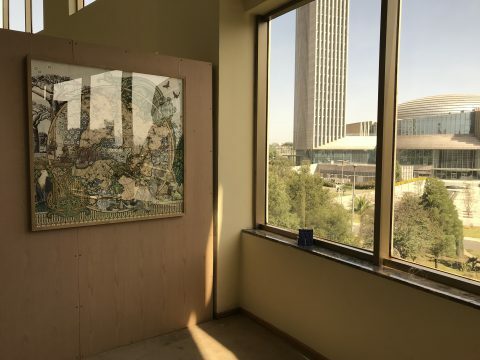 The first exhibition was held in Paris in November 2015 as a prelude to the United Nations Climate Change Conference, (COP21). 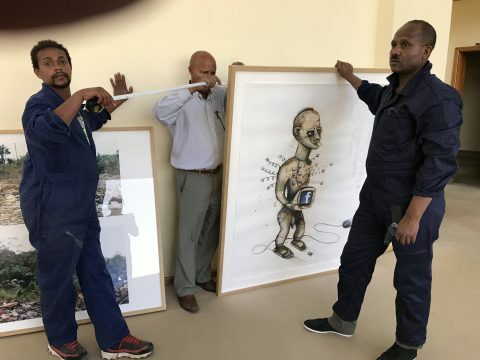 Just after the “One planet summit” conference organized on Tuesday, December 12, 2017 by the President of the French Republic, this exhibition in Addis Ababa reaffirms AAD’s conviction that the “Enlightened Africa” is the continent of yesterday, today and tomorrow.